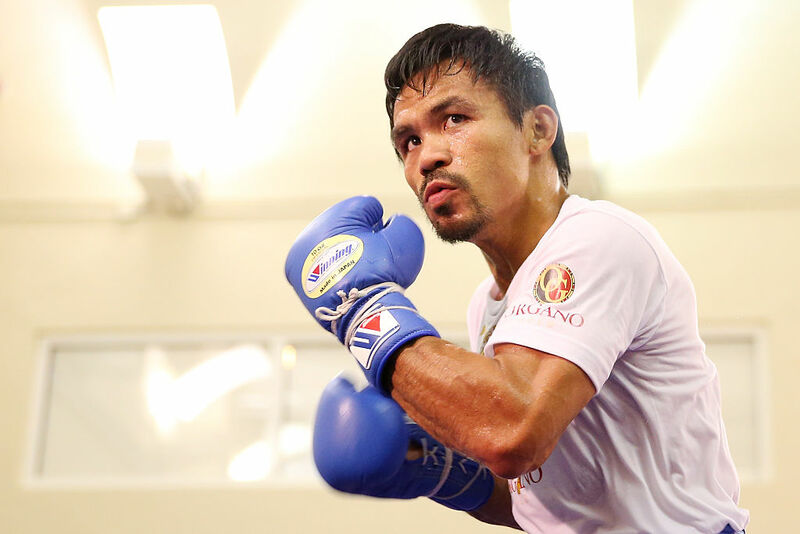 There are rumors flying around that Manny Pacquiao could return to the ring to face undefeated boxing superstar Terence Crawford, but only if Manny is guaranteed a huge payday. At this point, the Pacquiao camp is demanding $20 million in guaranteed cash just to face Crawford in the ring. All revenue from pay-per-view, ticket sales, and any other related money would be added on top of that. Besides the huge pile of cash, Pacquiao is also demanding that the fight be held in April to avoid scheduling conflicts related to his duties as Senator of the Philippines. According to Pacquiao's adviser, Mike Koncz, the Senate breaks between mid-March and early May, giving Manny time to train and fight in April. When Pacquiao last stepped into the ring, which was a win against Jessie Vargas in November, there were difficult conflicts with his lawmaking duties. "It was a demanding schedule because, after his Senate work, he had to go to the gym and train," said Koncz. Besides his win over Vargas, Pacquiao fought only one other time in 2016, racking up a win against Timothy Bradley last April. Both fights were won by unanimous decision. All told, Pacquiao is 59-6-2, and widely regarded as one of the best boxers of all time. Crawford, on the other hand, remains undefeated, and is one of the top rising boxers in the world. He's 30-0 all time with 21 KOs, and the last time he was in the ring was last December, when he easily defeated John Molina. "Once Manny hits them, they start doing some other things. They all say the same things when they're about to face Manny. They say that they'll do this and do that to Manny but when they're in the ring, they fail to do the things they promised to do," he said of Pacquiao's ability to change an opponent's game plan. Though Pacquiao will surely hang up the gloves for good sometime soon, it would be pretty sweet for him to be the first to knock off Crawford. Picking up a cool $20 million would be pretty sweet, too. Here comes another insanely hyped and insanely profitable boxing match for Floyd Mayweather and Manny Pacquiao.